The last couple of Valentines Day I’ve been spending my days with a special man. 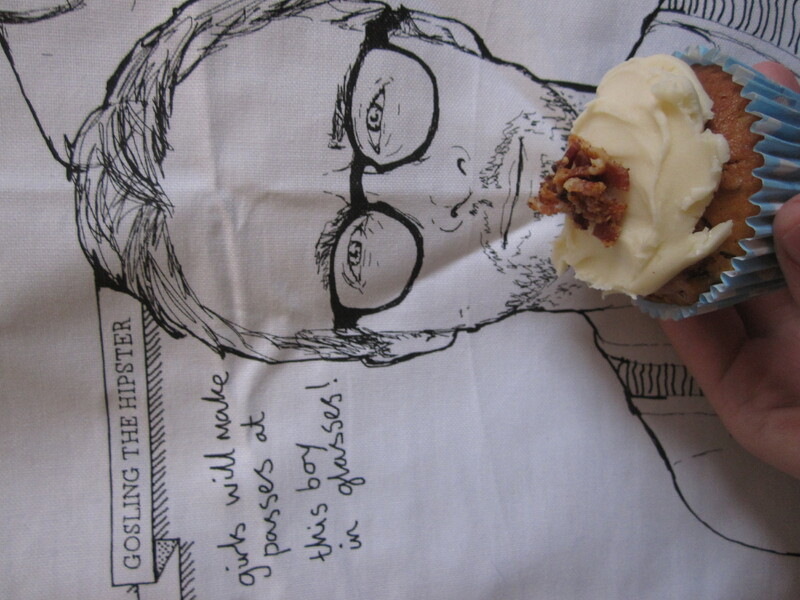 Of course, I’m talking of Ryan Gosling and by spend I mean make slightly creepy cupcakes as an ode to the beautiful man. 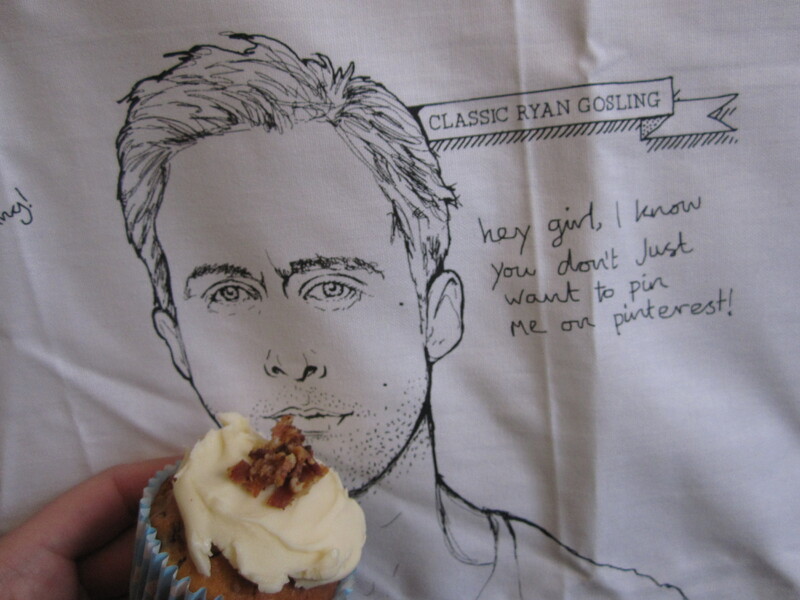 The first year it was the Blue Valentine Velvet Cupcakes and last year Ryan Gosling Face Cupcakes. This year I was slightly struggling with the theme of cupcakes to make this year. 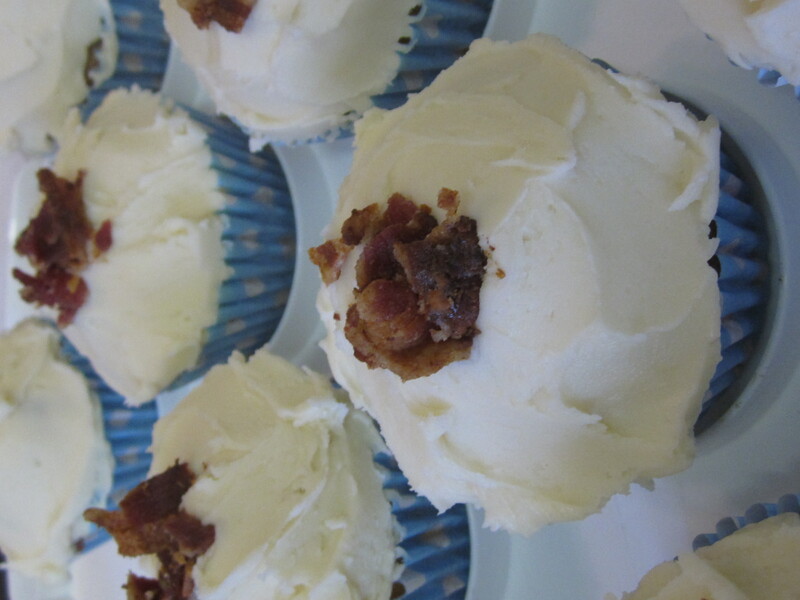 Being a Canadian, I give you the Ryan Gosling Maple Syrup and Bacon Cupcakes!! Don’t be scared of the bacon. 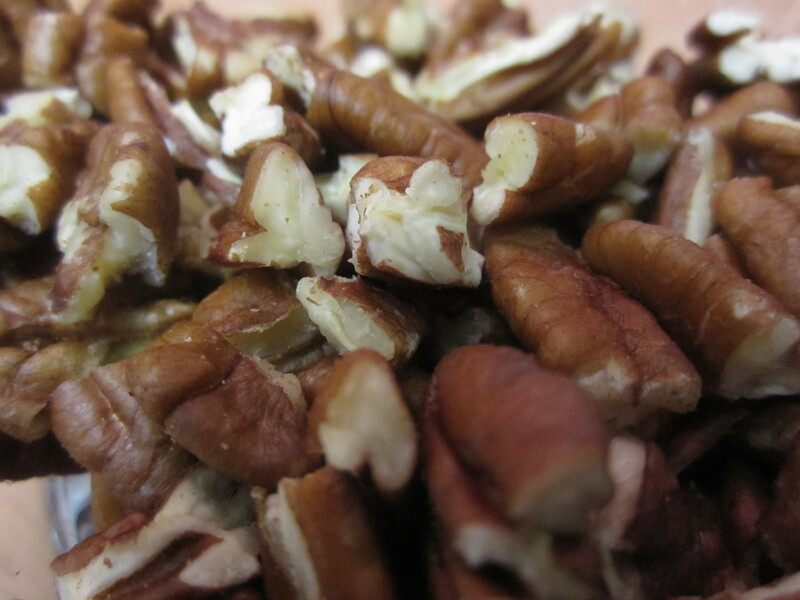 Embrace it like a meaty booster to your sweet bakes. Happy Valentines to all you losers! 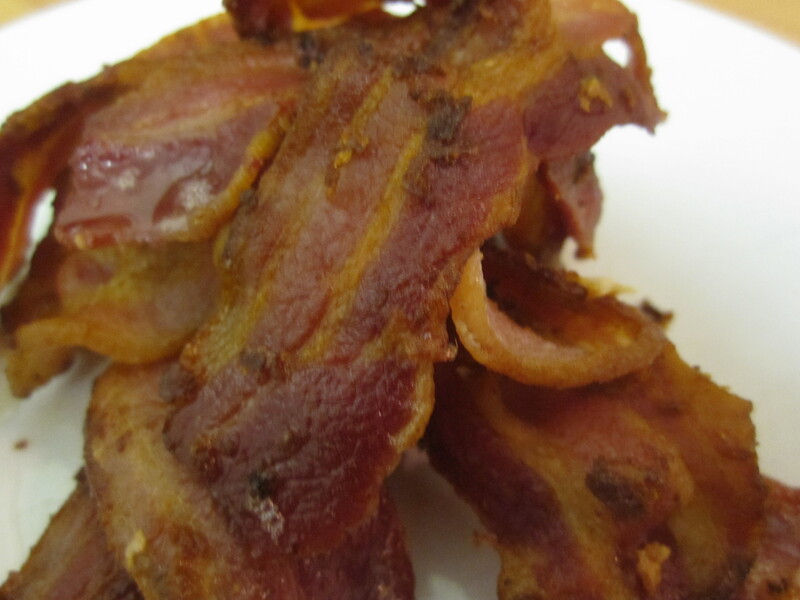 Adapted from Nigella Lawsons Recipe – added more bacon!!! 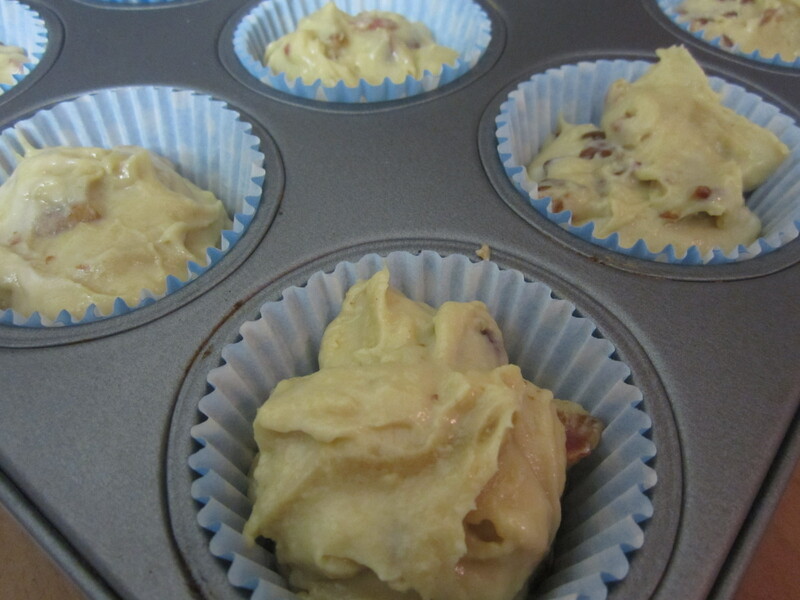 Preheat the oven to 180ºC and line a 12-cup tin with paper cases.Next fry the bacon rashers until crisp. Remove to a plate lined with kitchen paper and allow to cool. Once cool, crumble them to resemble sprinkles. Set aside. 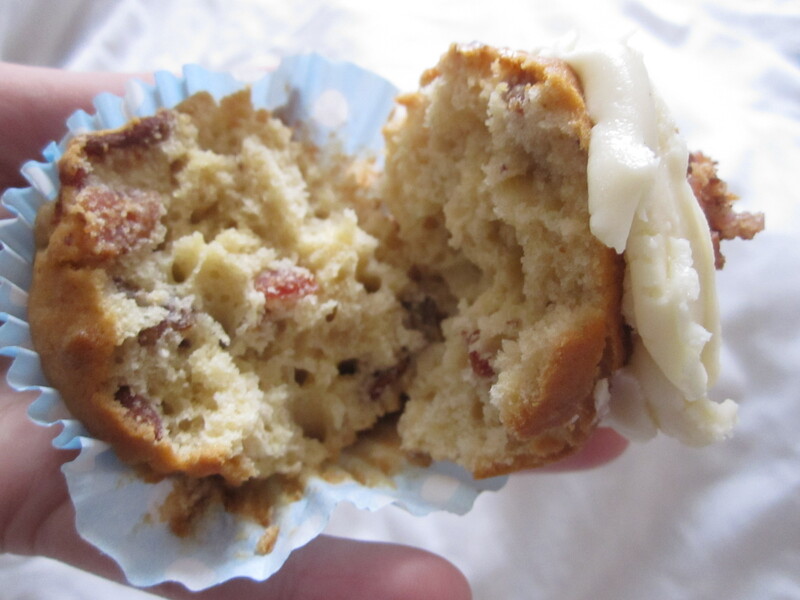 Divide the mixture among the cupcake cases and bake in the oven for around 20 minutes until a case tester comes out clean. Completely cool. 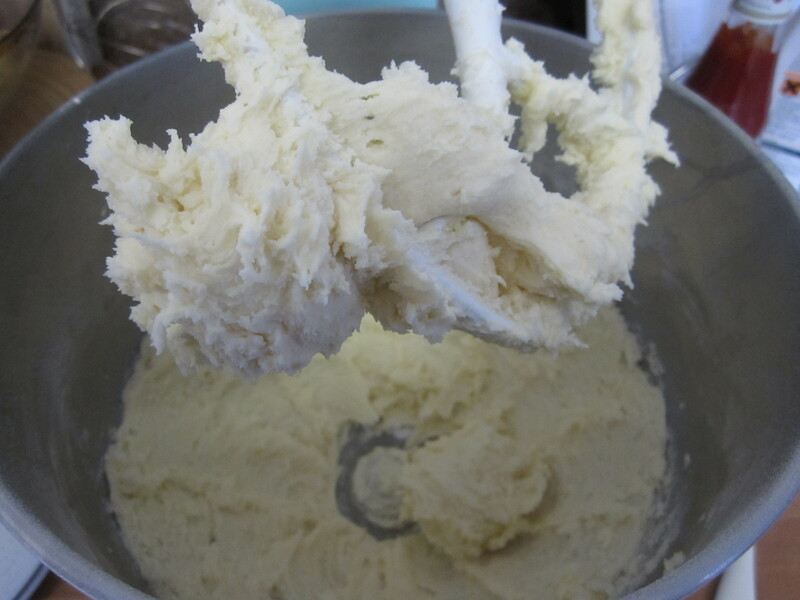 In a stand mixer, beat the butter until fluffy, beat in the maple syrup and slowly add the icing sugar until you get a pillow of frosting. 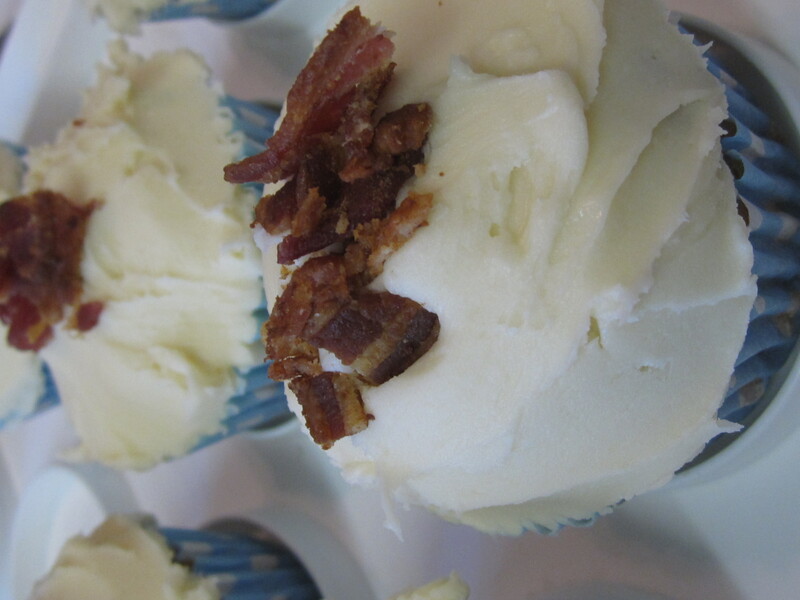 Once the cupcakes are completely cool, top with the buttercream, using the back of a spoon to make a spiky effect, and adorn with your bacon sprinkles. Hand feeding to a tea towel with the face of a male celebrity. I’m sure my cousin thought this was an appropriate use of a Christmas present tea towel that she got me…..